In a riveting scenario that has never been fully investigated until now, international journalist Gerrard Williams and military historian Simon Dunstan make a powerful case for the Fuhrer's escape to a remote enclave in Argentina-along with other key Nazis--where he is believed to have lived comfortably until 1962. Following years of meticulous research, the authors reconstruct the dramatic plot-including astonishing evidence and compelling testimony, some only recently declassified. 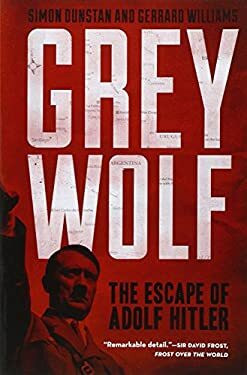 Impossible to put down, "Grey Wolf" unravels an extraordinary story that flies in the face of history.